Sailing Home - on the run home in beautiful calm waters. 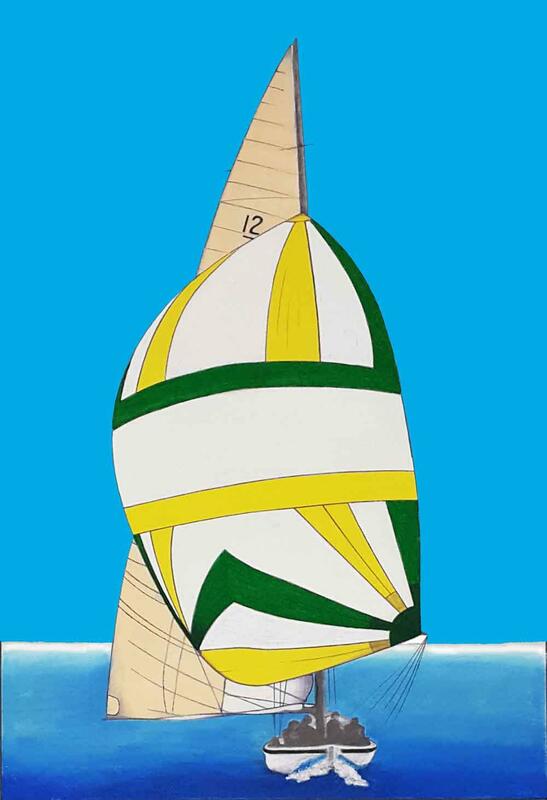 Paint the spinnaker in the colours of your choice or follow the chart showing these Aussie colours. Printed on non-woven and measuring 47 x 31cm. Requires colours: 1, 2, 21, 23, 24, 25, 84. Place a Blotter Sheet underneath the picture whilst painting.